It's never a good thing to feel the need to explain a joke, but apparently The New Era didn't get it--they didn't buy this (or if they did, they didn't think it was funny). Anyway, from what I remember from Boy Scouts, I had to have my parents or my Young Men leaders stick my feet to the fire if I was to accomplish anything. 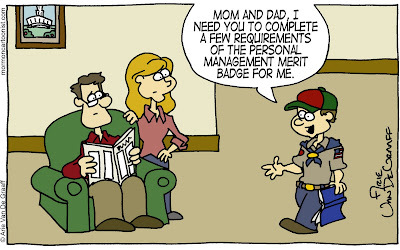 So when I heard that there was a merit badge named "Personal Management," I laughed to myself. Boy Scouts earning a Personal Management merit badge, as if. Then again, maybe I'm not the best person to judge a Boy Scout's internal drive. As it has been mentioned in the comments of this blog several times, I never advanced to Eagle Scout (as I type this, my head is hung in shame). Hopefully, I won't have to try and find a new job while the economy is in its current state. According to every story I heard in Boy Scouts: during the depression, earning your Eagle Scout was the sole difference between getting a job or not. Same at our house. We only have 1 8 year old and it's already like that. I don't see any eagle scouts in our family's future. Very Sad, but all too often true with LDS Scouting. Parents hear from our leaders that Eagle Scouts make better Missionairies, so they push and pull, and do anything and everything to get their Son to Eagle. Too many parents fail to understand that journey to Eagle is what it's all about. To them the ends justify the means. They just want to check the box and move on. He then may get his Eagle, but he is just a "Paper Eagle" and does not have the knowledge and experience of a real Eagle, the type our leaders really mean when they say our young men should strive to earn their Eagle Scout. 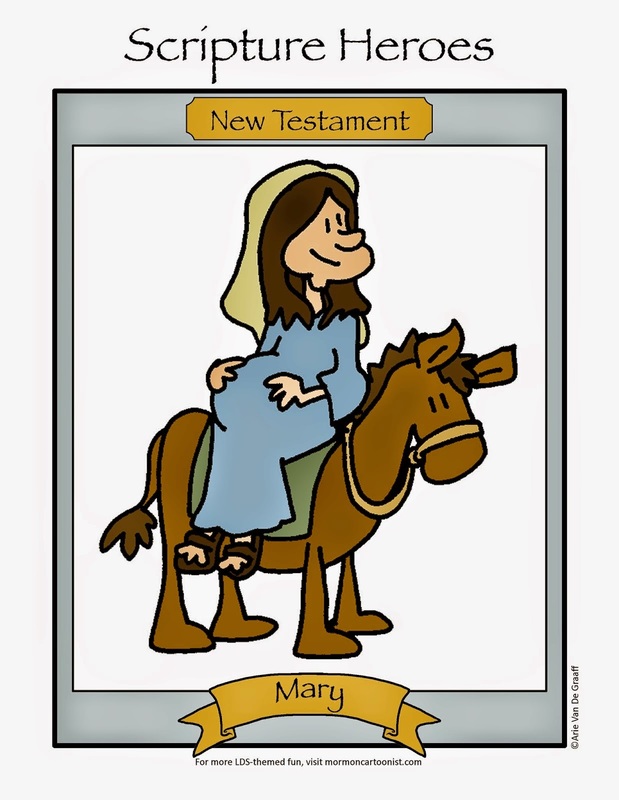 So this cartoon is a good, yet sad, example of one of the ills of LDS Scouting. Maybe if you were to do a few more like this, more prople would recognize their own familys/wards problems. Its no surprise that this cartoon was rejected, its because it hits too close to home.